There's never a good time for an acne breakout. 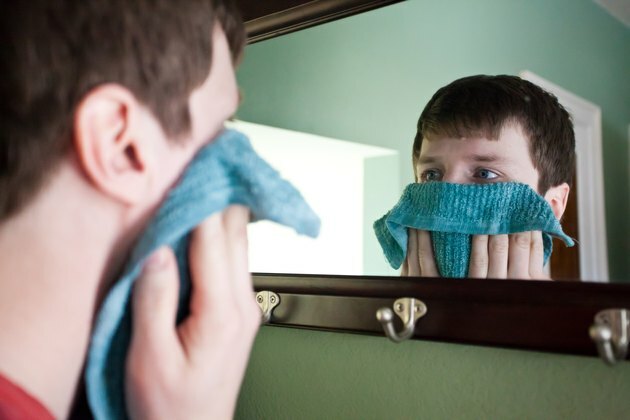 Blemishes are an unfortunate part of adolescence and an unwelcome occurrence for adults. Over-the-counter and prescription treatments can be harsh and drying to already irritated or inflamed skin. Common natural ingredients give you a gentle arsenal, ready at a moment's notice, for battling unsightly blemishes. Mix 1/2 teaspoon of cinnamon and honey in a small bowl to make a paste. Apply the paste directly to blemishes and leave it on the skin for at least 20 minutes or overnight to allow treatment time to penetrate. Rinse your skin with warm water to remove. Add 1 tablespoon of cosmetic clay to a small bowl. 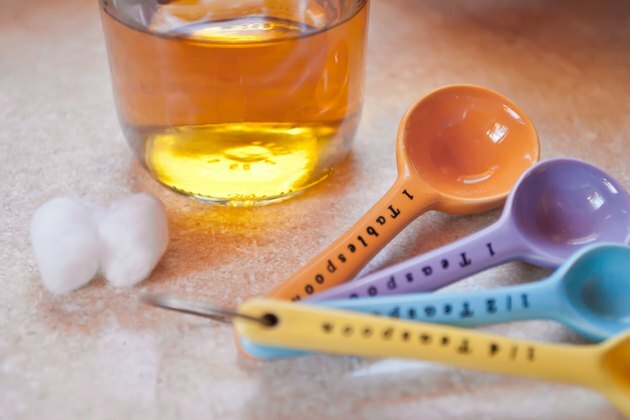 Mix in enough distilled water to make a thick paste and stir to combine thoroughly. Using the fingertips, gently dab the paste onto the blemishes and allow it to dry. Rinse off after 20 minutes, or leave the treatment on overnight before rinsing. Take two drops of either tea tree or lavender essential oil and add to 4 to 5 ml of distilled water for a 2 percent dilution. 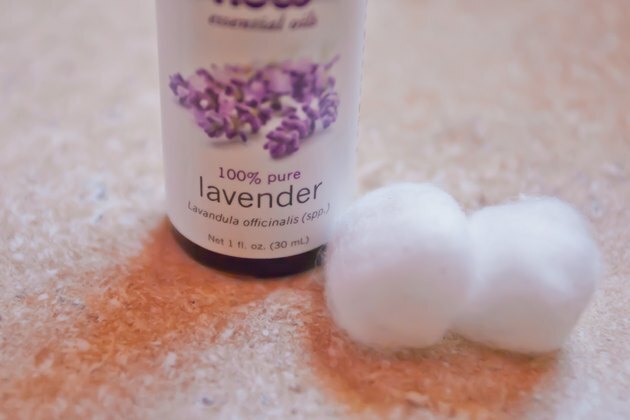 Thoroughly mix to combine, then dab onto your blemishes with a clean cotton ball. This blemish remedy does not need to be rinsed off and can be applied as needed. Mix 3 parts water to 1 part apple cider vinegar in a small bowl. Apply the diluted vinegar directly to affected areas with a clean cotton ball; leave the vinegar on the skin for 10 minutes or overnight. Rinse the skin with warm water and lightly pat dry. Use the treatment three times daily, rinsing after each application and following with a moisturizer as needed. 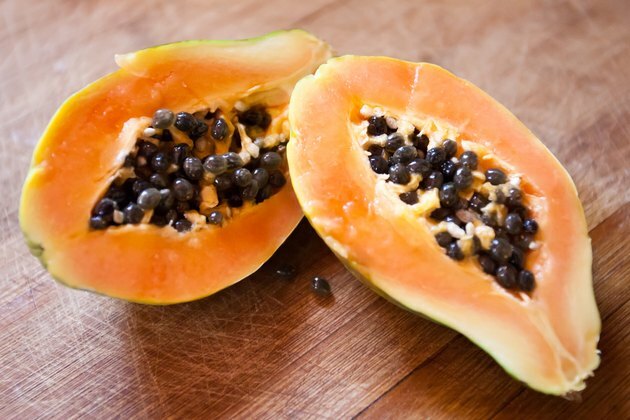 Using a fork, thoroughly mash fresh, ripe papaya in a small bowl. Pack the papaya paste onto the skin and let it sit for 10 to 15 minutes. Remove excess papaya with a damp washcloth. Rinse the skin with warm water and moisturize. Untouched, mashed papaya may be frozen in portions for later use. 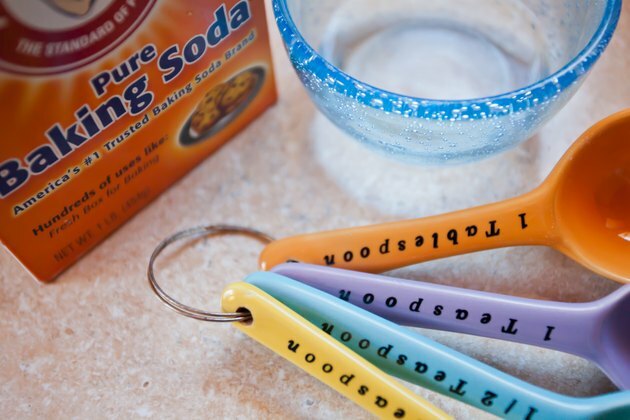 Combine equal parts of baking soda and water in a small bowl and stir to form a thick paste. Apply this paste to the skin in gentle, upward circles; allow the pack to dry on the skin for 15 to 20 minutes. Rinse thoroughly and follow with a moisturizer of your choice. 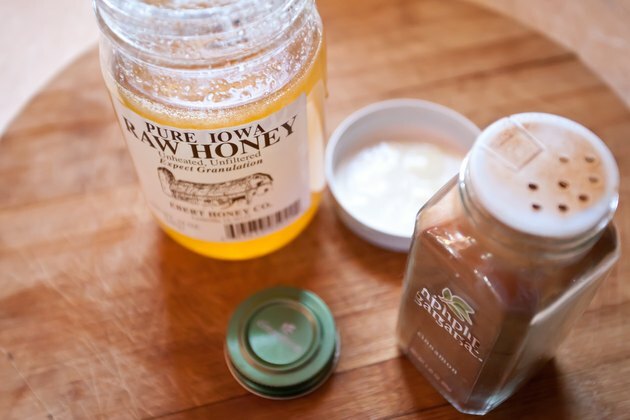 Add two tablespoons of raw honey to hot, cooked oats. Let the oatmeal cool to a comfortable temperature, and then apply it to the skin. Allow the oatmeal pack to harden for 30 minutes to reduce skin inflammation. Wipe off the oatmeal pack with a damp cloth and continue with your normal skincare routine. Always start blemish remedies on clean, freshly washed skin. Perform a patch test prior to attempting any home remedy for blemishes; discontinue use if you notice irritation.